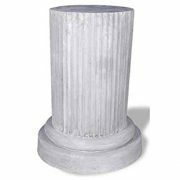 Includes 10″ Stainless Steel Gazing Ball and Tripod Pedestal. 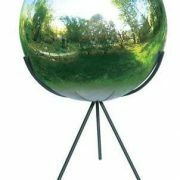 Stainless Steel Gazing ball will not shatter. 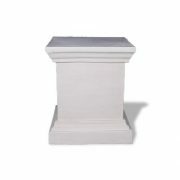 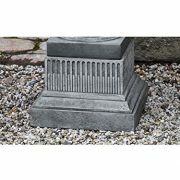 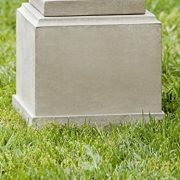 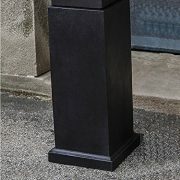 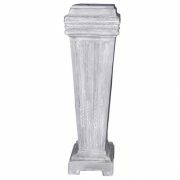 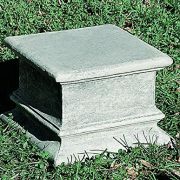 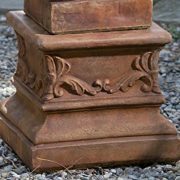 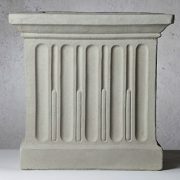 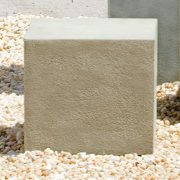 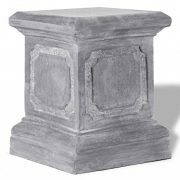 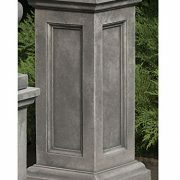 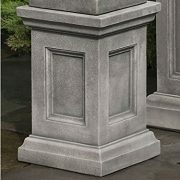 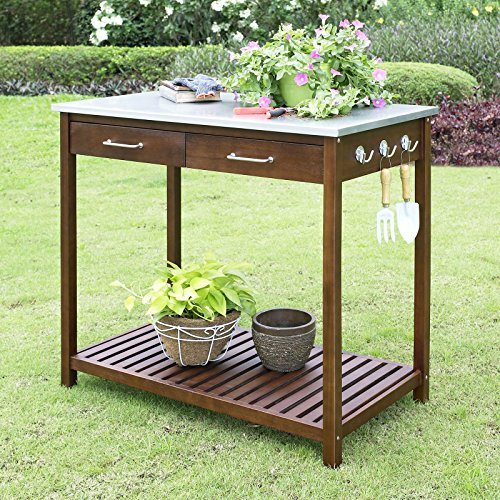 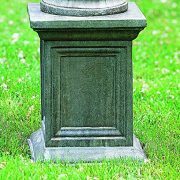 Pedestal features steel construction and a powder coated finish. 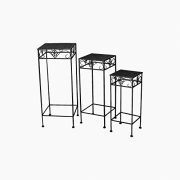 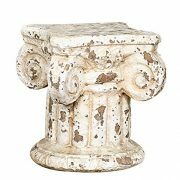 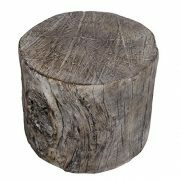 This set of 3 planter stands with Sizes: Small: 7.5″ x 7.5″ x 19″; medium size: 9.5″ x 9.5″ x 23″; large size: 11″ x 11″ x 27″. 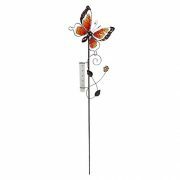 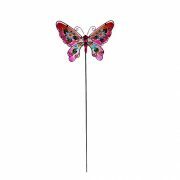 This good looking metal garden stake will accent any yard. 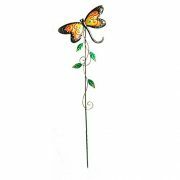 It is all hand made and hand painted. 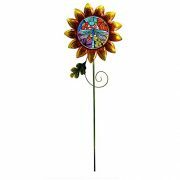 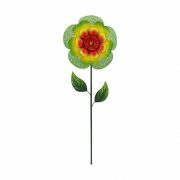 This good looking metal garden stake with a rain gauge will accent any yard. 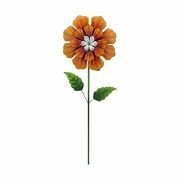 It is all hand made and hand painted. 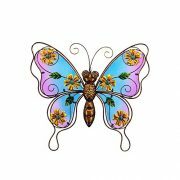 This beautiful butterfly with stained glass will accent any yard or garden.